Although most of the United States remains embroiled within a hard-hitting Winter season, lots of new Summer sneakers have hit the radar in preparation for the warmer months. Nike has recently announced the release of the upcoming Air Max 95 in a cool “Fresh Mint” colorway. The new offering comes with an upper doused in a suede-type material, toting a “Fresh Mint-Granite-Dust” colorway. Near the laces are gray and black mesh details that are contrasted by mint-green lace hoops. More mint-green hits are located on the Swoosh branding as well as the Air Max unit, providing a uniquely crisp style that will keep you fresh in the streets. 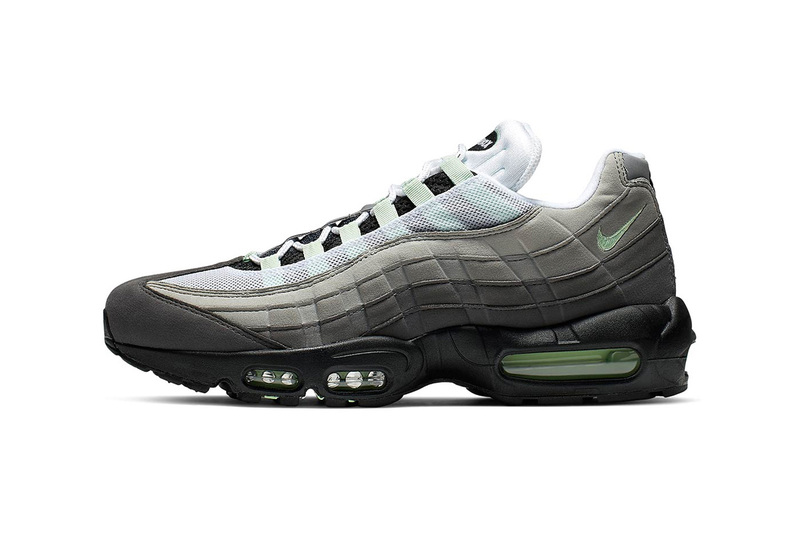 If you’re interested in grabbing a pair, the Air Max 95 “Fresh Mint” will be dropping via Nike’s web store on May 10, 2019, and will retail for $160 USD. For more sneaker news, checkout the newly revealed BAPE x adidas UltraBOOSTs.